Doha, May 8, 2017 – Qatar Petroleum CEO & President Saad Al-Kaabi and the former Secretary General of the International Energy Forum Noé Van Hulst led a group of distinguished individuals who were recognized today at the commemorative 5th anniversary Abdullah Bin Hamad Al Attiyah International Energy Awards for Lifetime Achievement. QP’s Al-Kaabi was acknowledged for his 30-year contribution to the Advancement of the Qatar Energy Industry, Van Hulst, now Holland’s Permanent Representative of the Netherlands to the OECD and the IEA, was celebrated for his career supporting the Advancement of Producer-Consumer Dialogue, and H.E. Suleiman Jasir Al-Herbish, who is Director-General of the OPEC Fund for International Development, was presented the 2017 award for the Advancement of OPEC. “Eng. Al-Kaabi was identified by QP to be a young person of great potential as far back as the mid-1980s when he was a student at Penn State University, and he has certainly proven us right, especially over the last decade,” said H.E. Abdullah Bin Hamad Al-Attiyah, Chairman of the Foundation. 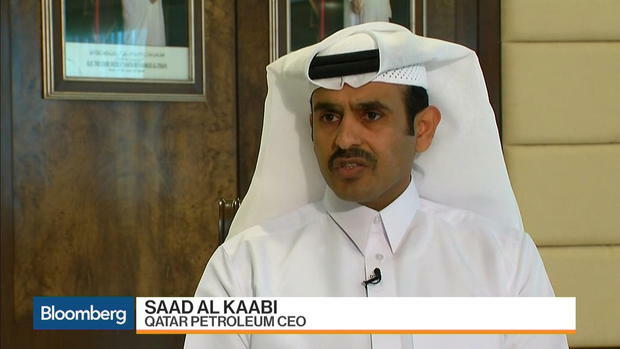 “I had no hesitation to appointment Saad as the Director of QP’s Oil & Gas Ventures Directorate in 2006, where for almost a decade he successfully oversaw all of Qatar’s oil and gas fields’ developments, as well as all the exploration activities in Qatar,” he said. The Al-Attiyah International Energy Awards are given annually to individuals for their Lifetime Achievement in the advancement of the global energy industry in seven categories. The nominees are voted on by an International Selection Committee who reward candidates for an outstanding record of accomplishment in their sector over the whole of a career, men, and women who have made an exceptional impact on the energy industry with distinct personal achievements for a consistent and prolonged period of engagement. The Director-General of the International Renewable Energy Agency, Adnan Z. Amin, and the Former Executive Director of the International Energy Agency, Claude Mandil, led the Selection Committee this year for the important 5th-anniversary commemoration of The Abdullah Bin Hamad Al-Attiyah International Energy Awards for Lifetime Achievement. Mr. Ali Aissaoui, a senior visiting research fellow at the Oxford Institute for Energy Studies, was recognized at the 2017 Al-Attiyah Awards for his lifetime contribution for the Advancement of Educating Future Energy Leaders, Mr. John Defterios, the CNNMoney Emerging Markets Editor, was rewarded for his Advancement of Energy Journalism, and Mr. Marwan Masri, who retired in 2010 as President and CEO of the Canadian Energy Research Institute, for the Advancement of Renewable Energy. The Al-Attiyah International Foundation for Energy and Sustainable Development strives to bolster the rigor of the selection process each year to ensure that the most worthy nominees globally are identified for their outstanding record of accomplishment in their category. In order to achieve this, a group of renowned figures is invited annually to join the Selection Committee to independently evaluate the nominees in accordance with a pre-determined grading matrix based on the Criteria: Impact, Innovation, Long-Term Vision, and Leadership. The Al-Attiyah International Energy Awards celebrate the legacy of H.E. Al-Attiyah, Qatar’s former Minister of Energy & Industry and Deputy Prime Minister, by recognizing the career achievements of distinguished individuals in service of the global energy industry. “His Excellency Al-Attiyah has shown that leadership for global sustainability can also come from the Gulf region and, in doing so, he has shown a vision for prosperity and sustainability for the future,” said the head of IRENA Adnan Z. Amin.